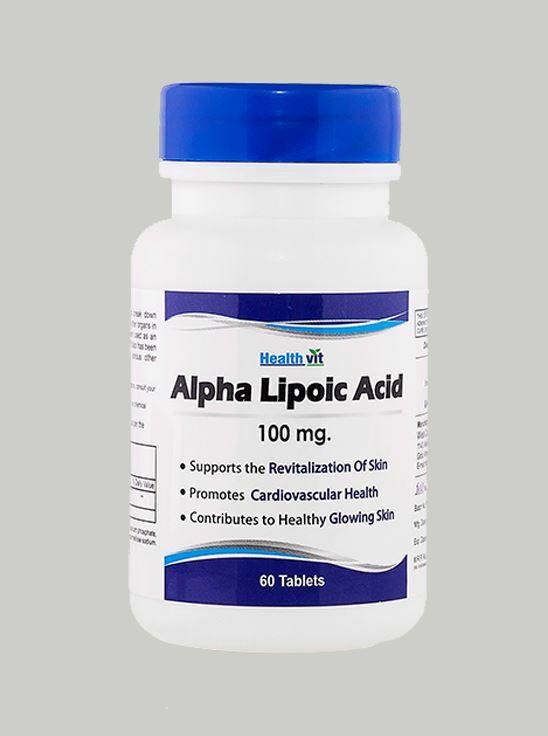 Benefits of HealthVit Alpha Lipoic Acid 100 MG 60 Tablets  As an Anti-oxidant and Anti-Inflammatory  Skin Rejuvenator  Revitalize structure of skin  Fight against free radicals in the body Alpha Lipoic Acid is potent antioxidant and anti-inflammatory agent. It fights against free radicals in the body and has skin-rejuvenating benefits. It also regenerates other antioxidants like vitamin C, vitamin E, coenzyme Q10 and glutathione. As an antioxidant, Alpha Lipoic Acid also helps revitalize the underlying structure of skin, so it can look healthier and more radiant.